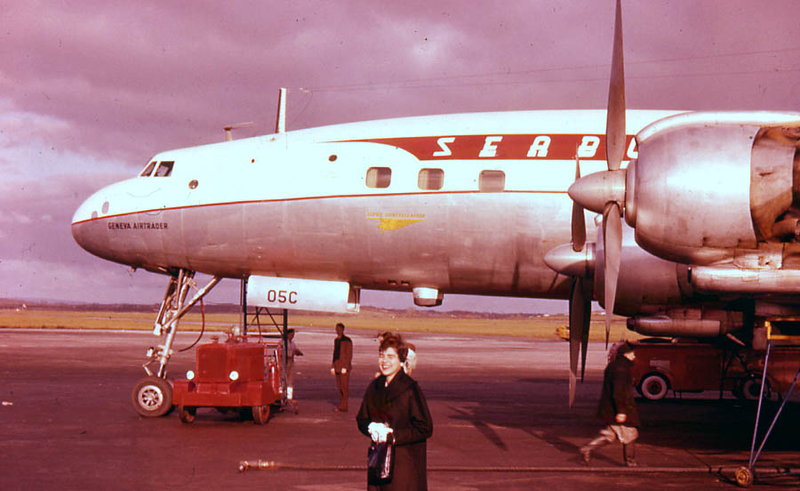 Howard Hughes was one of the driving forces behind the design of the Lockheed Constellation commercial transport. 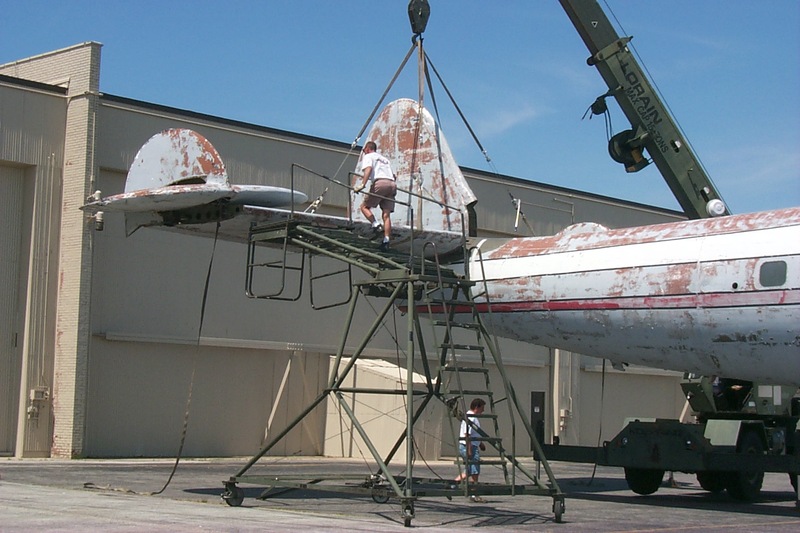 During WWII, the USAAF purchased 22 early- model Constellations which were designated C-69s. 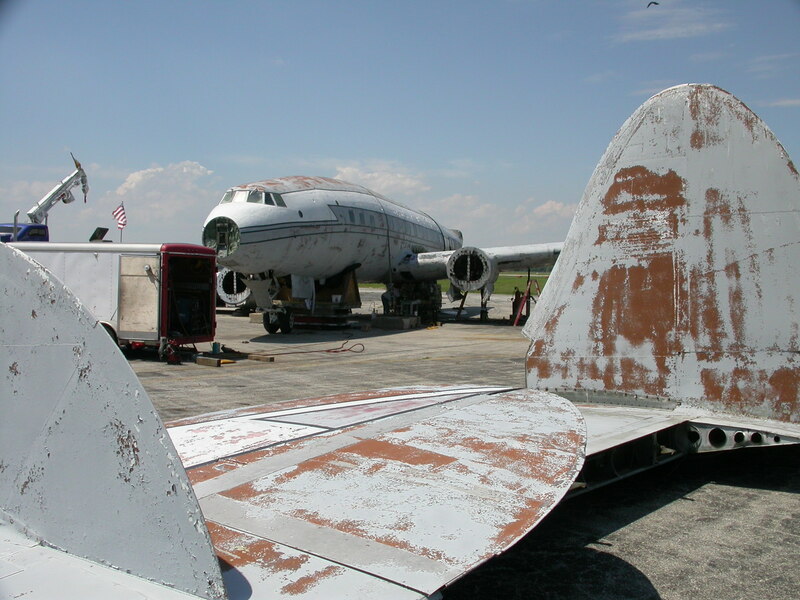 At the end of the war, the USAAF decided to standardize the Douglas C-54 as its four-engine transport of choice and promptly declared most of the C-69s as surplus. 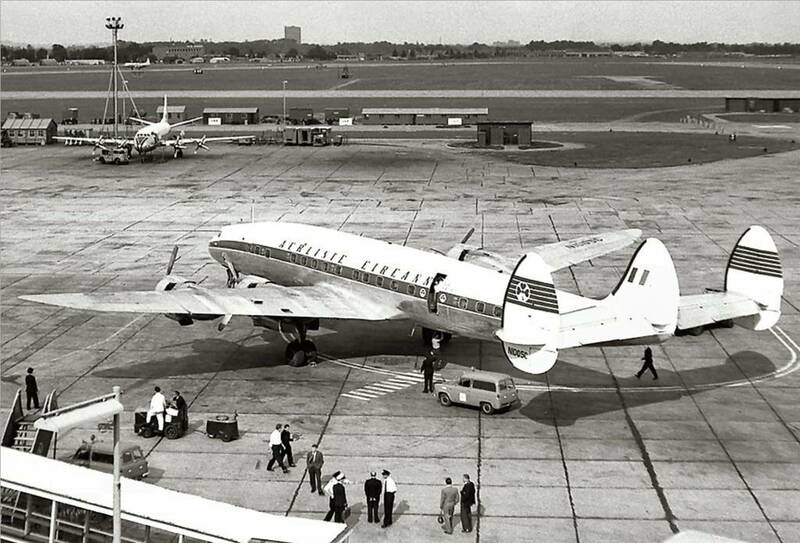 Production of the basic design was turned over to the civilian markets which lead to the famous Constellation series of airliners. 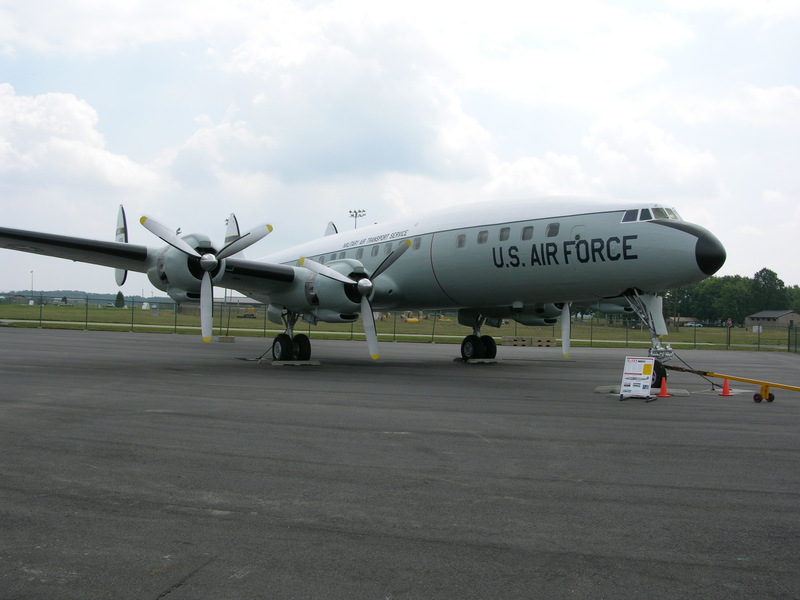 The C-121A was the military variation of the commercial Model 749 Constellation. 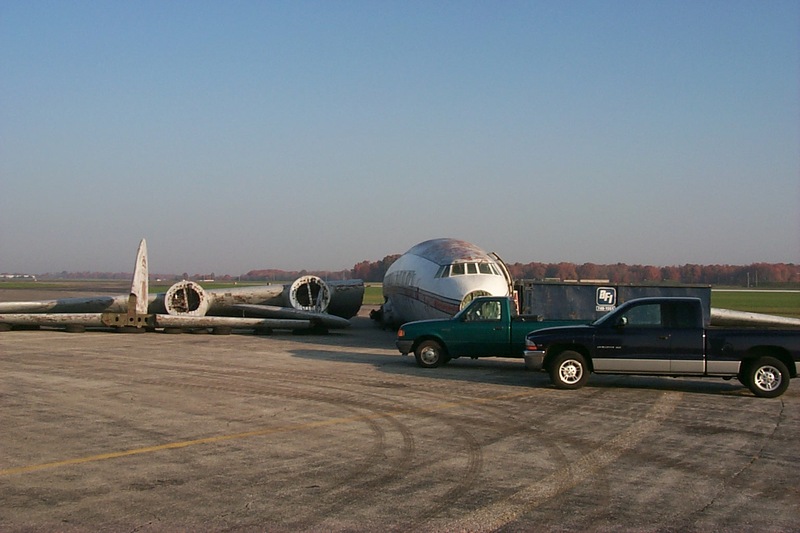 Between 1948 and 1955 the USAF ordered 150 C-121As for use as cargo/passenger carriers, executive transports, and airborne early warning aircraft. As a troop carrier they could carry a maximum of 44 passengers. Fifty-five percent of the Super Constellations built by Lockheed were delivered to the U.S. Navy and Air Force. 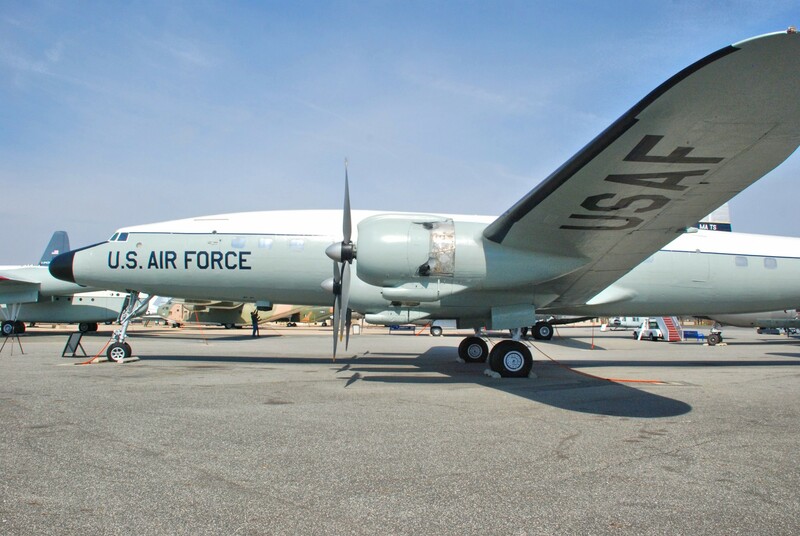 A majority of the aircraft were used for electronic reconnaissance and airborne early warning. 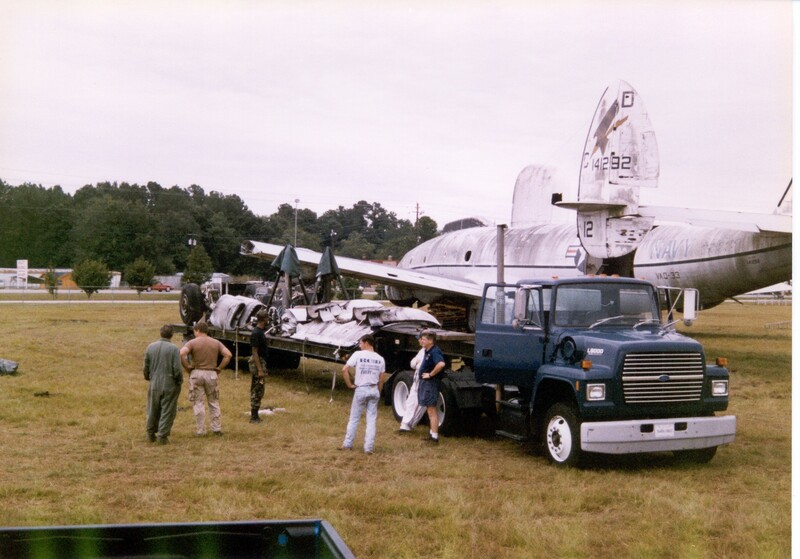 In the mid-1960s, the Air Force sent the first EC-121 “Warning Star” to Southeast Asia to maintain radar surveillance over North Vietnam and then later to warn of MIG attacks and alert American pilots who were straying over Chinese territory. 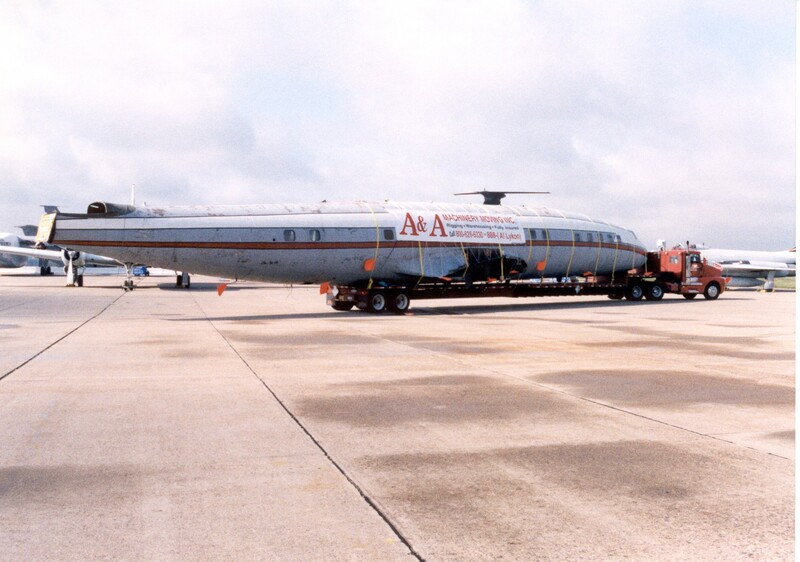 Most C-121As were later converted to the VC-121A VIP transport configuration for use by top-ranking officials such as Generals MacArthur and Eisenhower. 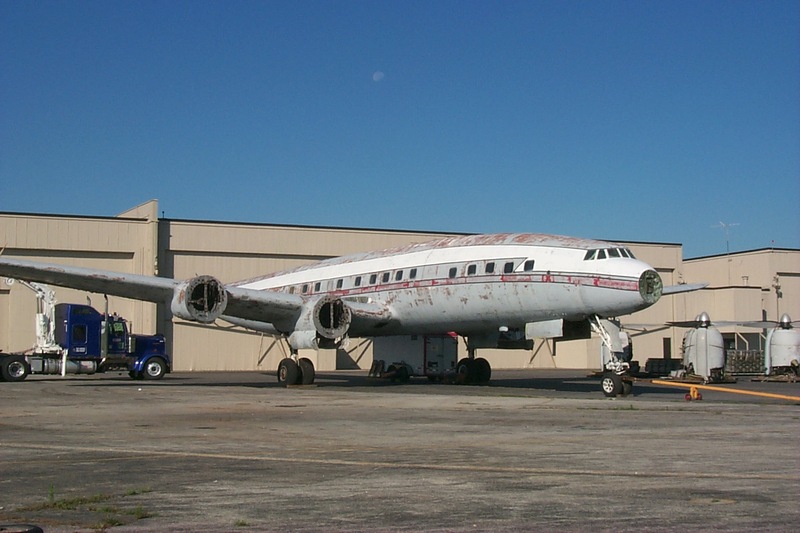 The lone VC-121E Constellation (#53-7885) was named “Columbine III” and was used throughout the Eisenhower Administration as Air Force One. 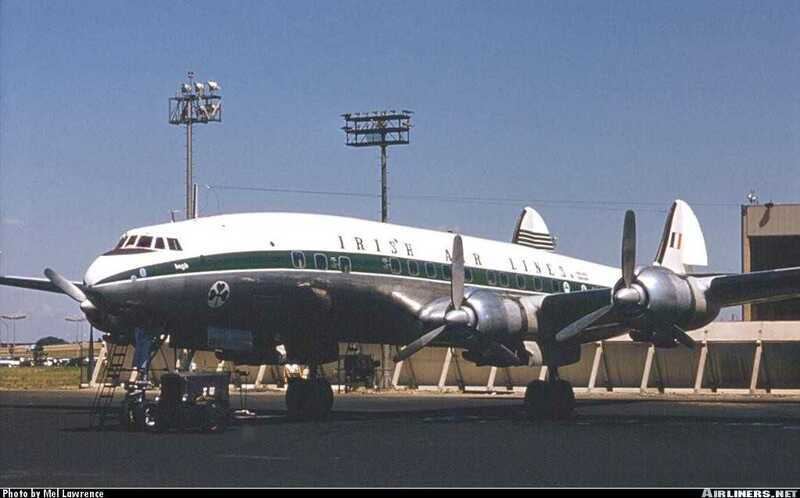 Mar 1956 to International Aviation who sold it to Seaboard & Western Airlines as N1005C "Geneva Airtrader"
May 1958 - 22 Dec 1960 Leased to Aerlinte Eireann (Irish Airlines) as "St Brigid/Brighid"
1992 Reopened as "The Airplane Family Restaurant and Diner"
My father, CMSgt John C. McKellar, flew the “Connie” during his 26 year career in the USAF. He loved this plane and claimed this was his favorite aircraft. 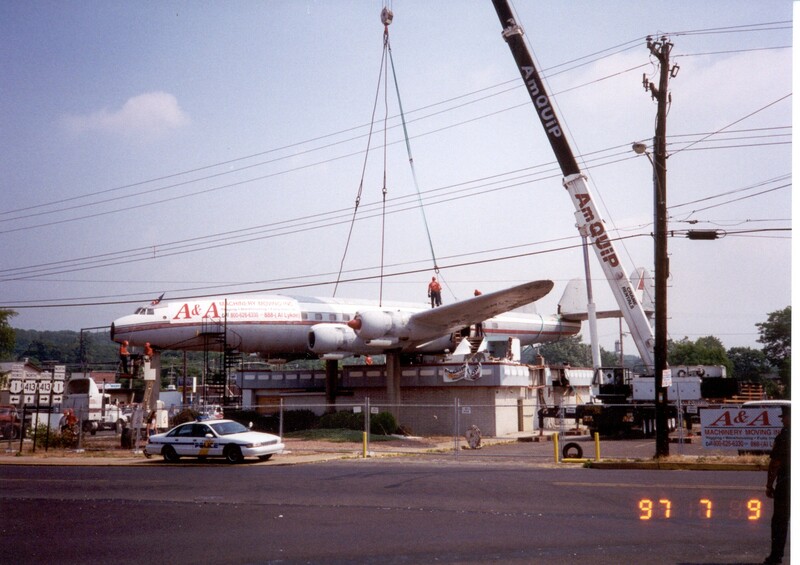 A photograph of the Connie was always displayed in our home. He was a flight engineer stationed at National Airport, Washington DC, and Andrews Air Force Base, Camp Springs MD. Growing up as a ‘USAF BRAT’ in the ’60s & ’70s afforded our family a great deal of travel around the world. 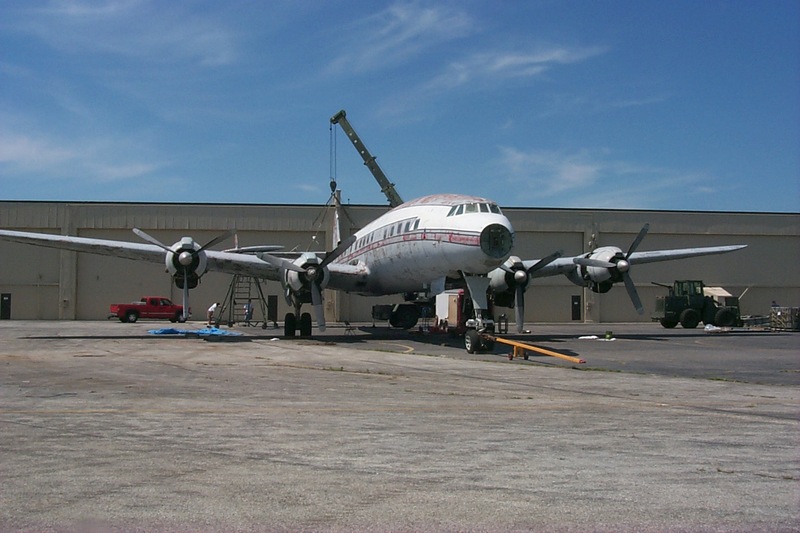 The ‘SUPER CONNIE’ holds a special place in my heart when @ age 5, we were about to REUNITE with ‘Daddy’ on Kadena AB, Okinawa after he flew ahead about a month to arrange for housing. We departed from Travis AFB on a MATS C-121 & arrived ALL OF 2 DAYS LATER with refueling stops in Honolulu & on Wake Island. A grinning Dad was standing on the ramp @ the bottom of the stairs as we deplaned! 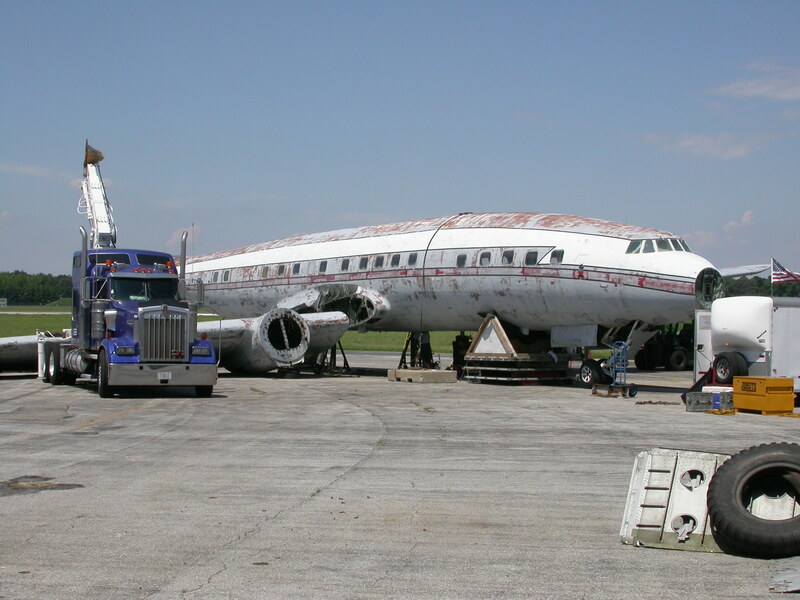 I worked for LASNY (Lockheed Aircraft Service) in the 60s. We worked on RC121 and EC121 (1049s) Airborne Early warning aircraft with upper and lower radar domes (we called them radomes). 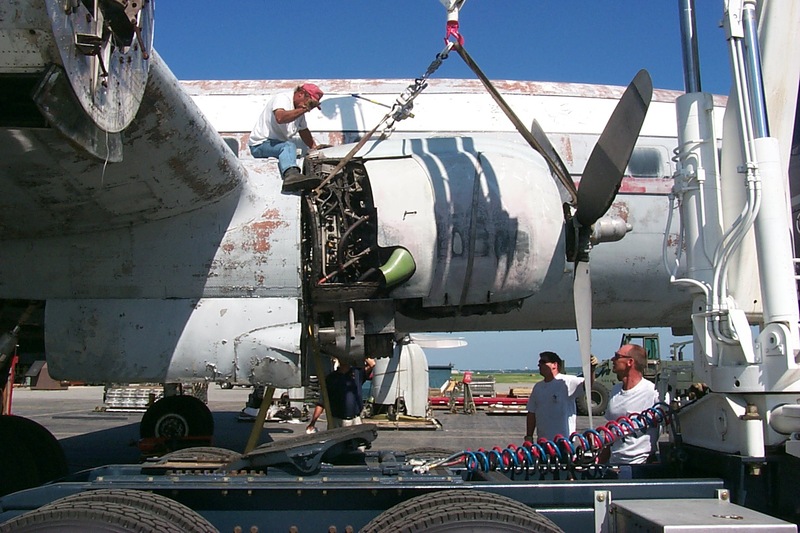 Planes came from Wallops island VA., Reykjavick and Keflavick Iceland and a few from Viet Nam for major overhauls and repairs. Still have a place in my heart for these beautiful aircraft. 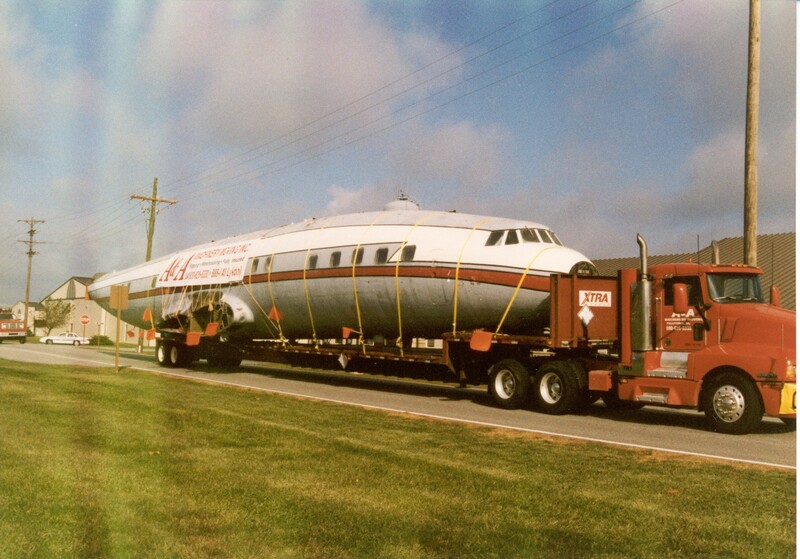 Several have been saved and are on display around the US. 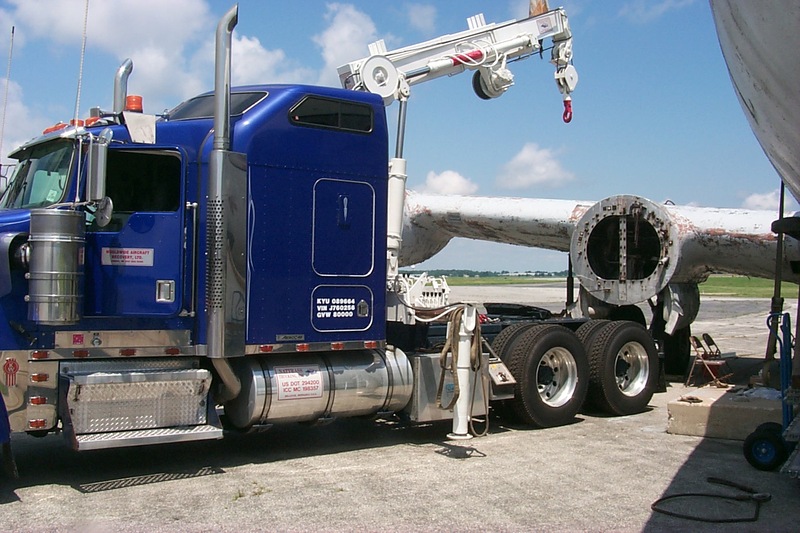 My favorite is Tail #555 outside of Dayton Oh at Right Patterson, the U.S. Air Force Museum. Glad to see another one saved from being cut up. Flew Connies as Flight Engineer at Flying Tigers 1965-67. Remember feeding popcorn to a baby elephant on his way to a new home. Listening to a full grown Bengal Tiger howling behind that canvas fire curtain. The elephant took one look at the Newark ramp and threw up. 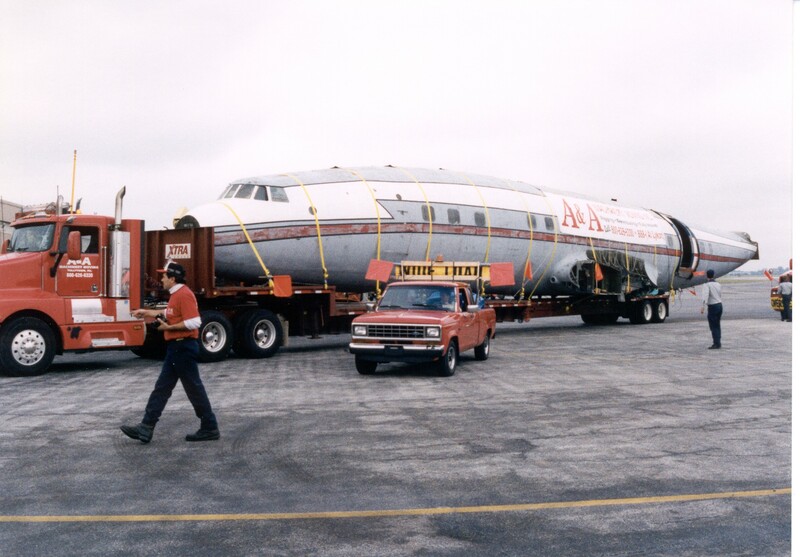 Such was life in the air cargo biz. 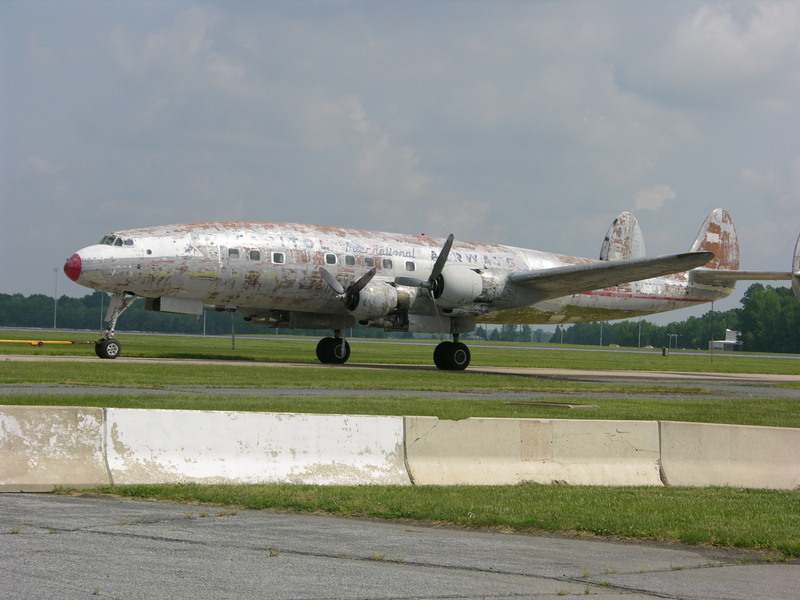 In 1958 as a child I rode in this Constellation with my parents from New York city to Ireland. I have a slide of N1005C before we boarded it. Those were the days. During the flight we were invited to the cockpit for a tour. It was also Christina’s Restaurant from 1986.-1989 My father owned it at that time. 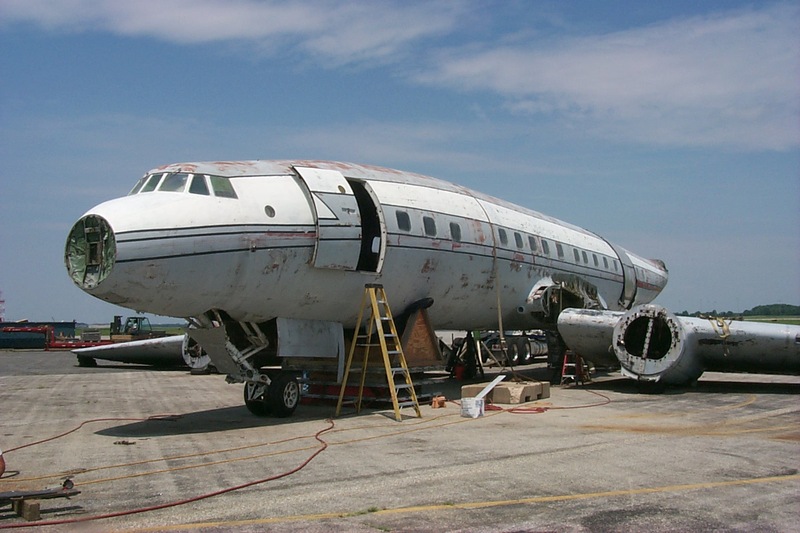 I had the privilege of working in this Connie in the late 70’s after she was grounded sitting atop her three pedestals as Jim Flannery’s Constellation Lounge and Restaurant. 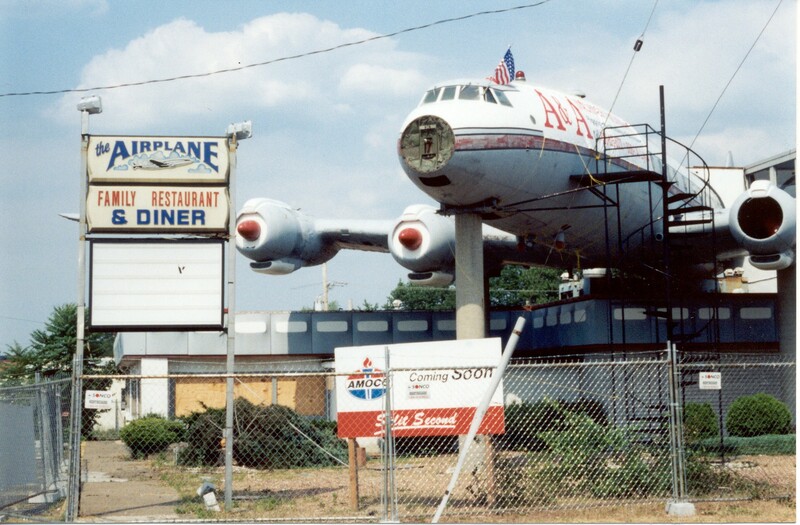 I’m fairly certain Jim was an air force pilot himself and this served as part of his inspiration for the restaurant. 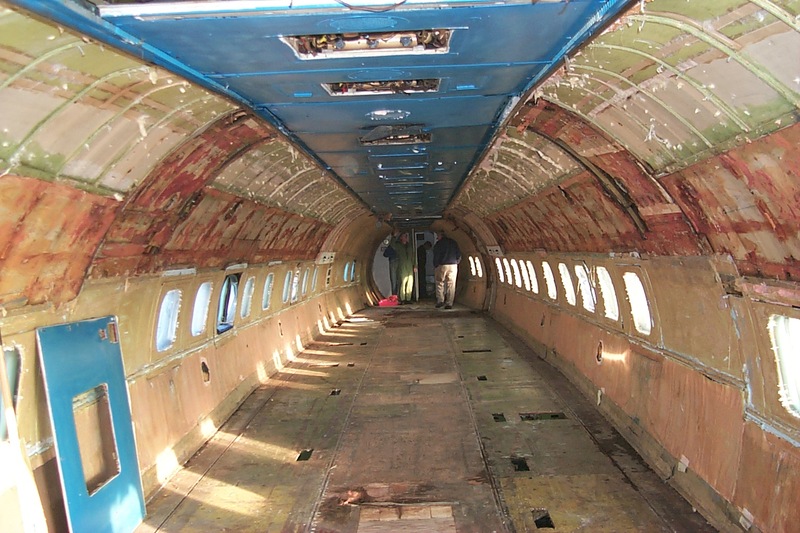 There was a bar in the rear of the plane as you entered the fuselage door from the main staircase with a small parquet dance floor in front of it. Some of the seats were reversed with tables placed between them to seat four together. 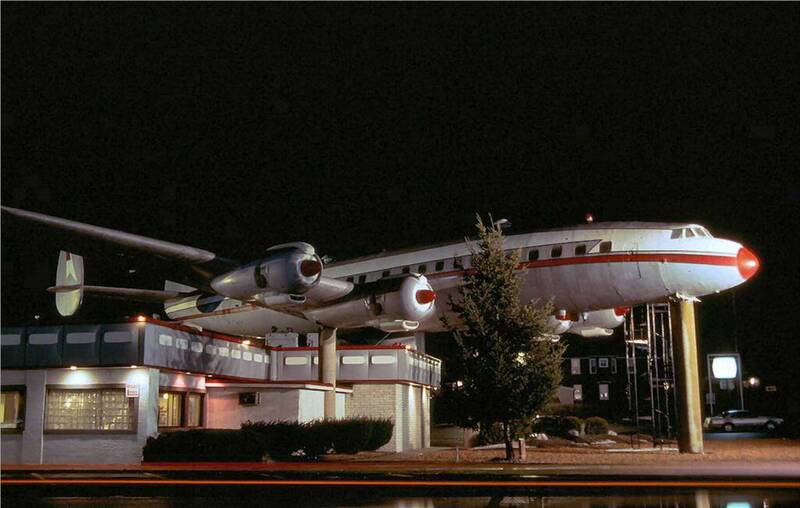 The windows had aerial views of famous landmarks that were backlit with fluorescent lighting for night viewing. Dinners were typically brought up from the kitchen in the main restaurant below but there was a small steam table in the front of the plane from which we could serve prepared foods like Prime Rib and vegetables. The cockpit was covered with a sheet of plexiglass and the controls were painted fluorescent so they glowed in the dark under black lights installed among the instruments. 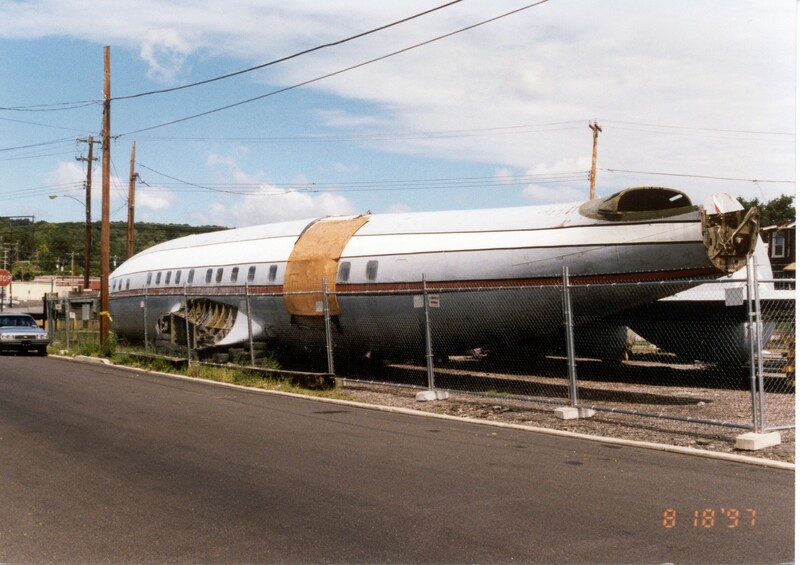 The front fuselage doorway served as an emergency exit with a spiral staircase leading to the ground. And yes the commode in the rear was also functional. I have a matchbook cover photo of how she was painted at the time and will send it to be included with the others. She looked much better as Flannery’s in her Red, White and Blue stripes. Can’t wait to visit her at AMC and see how much she’s changed. 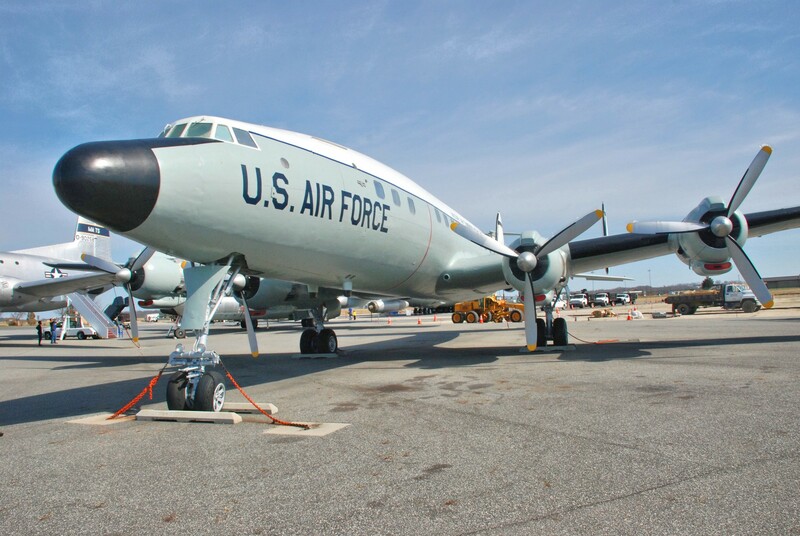 In Nov 1958 I flew to the PI aboard a MATS C-121. The seats faced the tail. 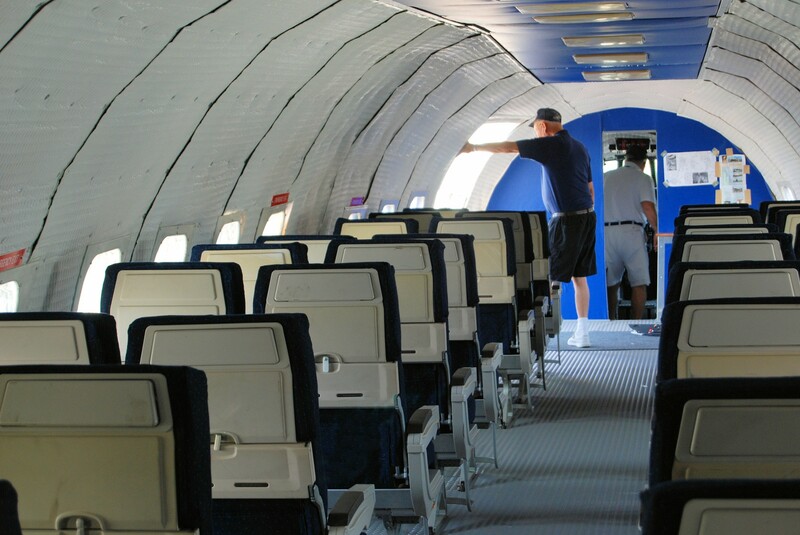 Are these pix of the plane I flew in? 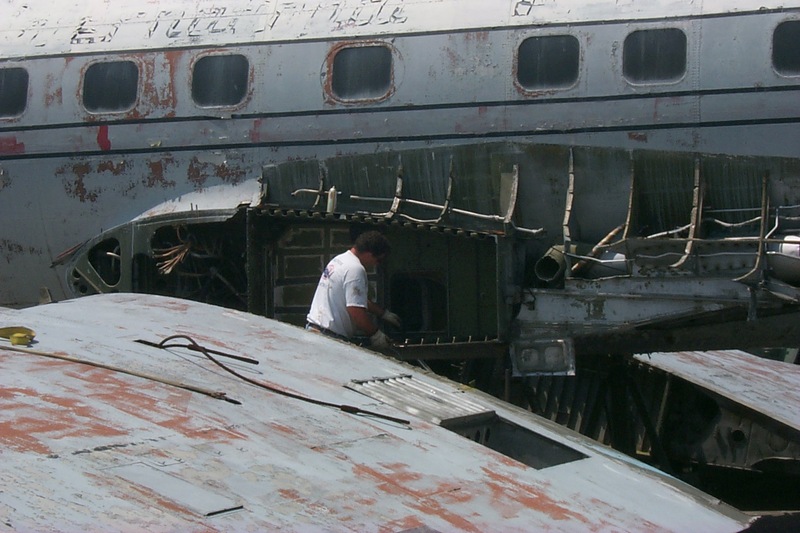 Is there any thought of restoring the interior of the Connie? 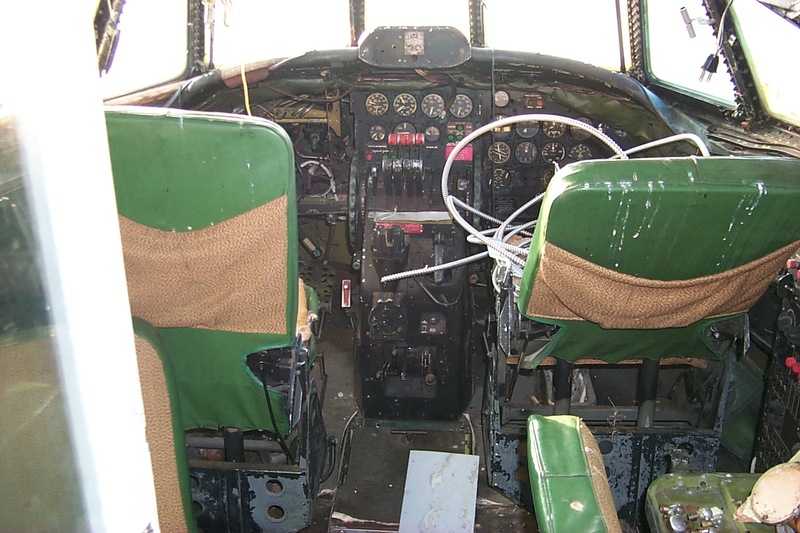 The interior of our Connie has been completely restored. We’ll upload some more images of the inside once they’ve been retaken. I GREW UP IN LOWER BUCKS CO. & SOUTH JERSEY. 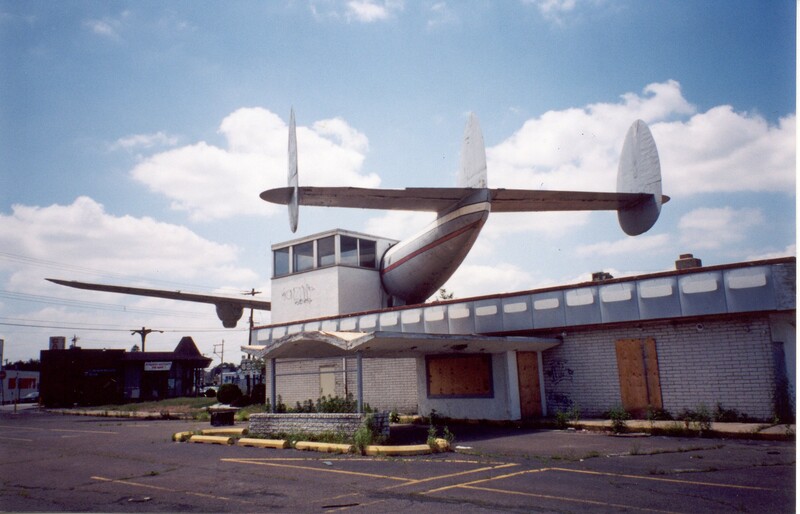 I REMEMBER PASSING THROUGH PENDELL AND SEEING THIS C-121 SITTING ATOP OF FLANNERYS REST. SO I THINK IS FITTING TO SEE THAT IT IS NOW AT DOVER..